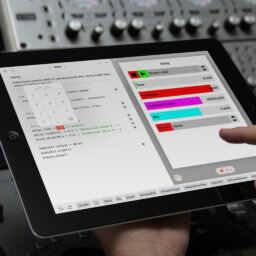 Version 2.2 is a very substantial improvement to AudioKit, four months in the making! Now in addition to sensible defaults, most AudioKit operations also have a set of parameter presets to give you a few options as starting points. With 2.1 we started with Travis Continuous Integration testing but at that point there were only 27 test cases, and now there are 170 different things tested in AudioKit. We’ve also put the AudioKit Examples repository under TravisCI so the 28 example projects are built and tested on each commited change. AudioKit 2.2 has support for SoundFont files including both instruments and presets. This is a great way of using AudioKit to get the best of both worlds with high quality traditional-sounding instrument samples and mind-blowing new effect combinations. AudioKit even comes bundled with a high-quality General MIDI sound font. AudioKit has support for building MIDI instruments that “just work” using MIDI instead of having to build your own MIDI handling, note creation, and note stopping events. There are now 35 different playground files to play with to get up and running quickly with an interactive instrument or effect processor. There are a few new filters such as AKAntiresonantFilter and AKClipper as well as new instruments for delay and pitch shifting pedals. This update incorporates many random updates that happened over the last few months including and improved installation process and various bug fixes. More things are being developed all the time, but we’re proud of what Version 2.2 has to offer and we thank everyone for their contribution and support.